A baby shower is an exciting step toward motherhood! Preparing games that will allow everyone to have a memorable time is crucial. If you’re looking for some fresh ideas, try some of these popular baby-inspired games. As each guest arrives, hand out diaper pins that can be worn on his/her shirt. Once everyone has one, tell your attendees that they can’t say the word “baby” until it is time to open presents. If anyone hears that word, he/she can take the rule breaker’s pin. Whoever has accumulated the most pins at the end of the game wins. This funny game will have you and your guests in stitches. You’ll need different types of diaper-filling substances. Melted chocolate, nut butters and caramel-filled candy make great props. Fill the diapers with your ingredients and have everyone smell and taste the gooey substances. Whoever can identify most of what is inside wins! Make a list of ten songs that mention the word “babe” or “baby” in the title. Mix up classics (“I got you babe” by Sonny and Cher) with more modern songs (Mariah Carey’s “Always Be My Baby”). Distribute paper and pens. For five seconds, play a part of each song. Everyone should write down what song they believe you played. At the end of the playlist, the guest with the most correct answers wins. Ask each guest to bring a baby photo of themselves. Collect all the pictures upon arrival and give each one a number. Hang them up after they have been labeled. Hand out pens and paper and give everyone 10 minutes to decide whose picture belongs to which guest. Whoever has the most correct matches is the winner. 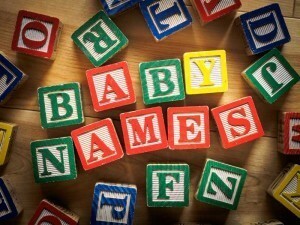 Create a list of ten words relating to babies, such as “diapers” or “crib.” Then come up with a list of 10 words that are irrelevant to babies, such as “hammer” or “jail.” Hand out copies to your guests along with pens and paper. Allow everyone about five minutes to write a story that includes all 20 words. Take turns reading the stories out loud. The winner is determined by the crowd; funniest story wins! Invite each guest to bring an object that represents current times: a newspaper, a coin from that year or anything else. During the baby shower, have each guest explain why he/she chose that item and place it inside a container. Once all gifts are inside, the host will then seal the container for the mom-to-be. This treasure is then intended to be opened by the child one day. Separate guests into teams and give each person a balloon. When told to begin, the first person from each team must blow up their balloon and put it under their shirt. Once the first person is done, it is the second person’s turn, then third, and so on. After all team members have balloons under their shirts, the first person pops their balloon, then the second, and it continues down the line until one team has popped all their balloons. The fastest team wins! For this game, you’ll need 10 paper bags and baby items. Place one baby item in each bag and number it. Everyone will need a pen and paper. Distribute the bags to your guests. Everyone must try to guess what is in each bag without peaking. Once all guests have made a guess for each bag, the mother-to-be can open them to reveal what is inside. Whoever guessed the most correct items is the winner. Pass out pens and paper. Pick a letter A-Z. Let your guests know what letter you chose and then set a timer for one minute. Within that minute, everyone should write down all the baby names they can think of that start with the letter you picked. The mother-to-be can decide who has the most extensive and creative list and deem them the winner. After everyone arrives, the mother-to-be must leave the room. Then, all the guests should write down what they remember about what she was wearing. Whoever can recall the most accurate description wins!